A 31 year old male off duty police sergeant was struck by a motor vehicle while crossing the street. He sustained a fractured skull with bleeding of the brain and underwent a surgical craniectomy. He also fractured his lower leg and had surgery during which a plate and screws were inserted. The case settled withi...continue reading. A woman in her late 20s was stepping onto a New York City bus in Queens when the bus driver closed the doors on her and drove the bus for a short distance with her stuck between the doors. The woman did not realize she was hurt and did not report the accident. The bu...continue reading. A construction worker was standing on a wooden scaffold which broke causing him to fall to the ground. He fractured his wrist and lower leg and underwent surgery with insertion of a plate and screws to both areas. He was in his late 40’s and was not able to return to work after the acciden...continue reading. A man in his early 50’s was standing on a wooden scaffold at work which broke and he fell 8 feet to the ground below. He herniated a disc in his low back, the disc was removed during surgery and screws were inserted. The client could not return to work due to his injuries. Th...continue reading. A 33 year old man from Brooklyn slipped and fell on ice in front of a building. The building had allowed rainwater on the roof of the building to flow through a pipe on the side of the building to the sidewalk where it would freeze and become ice. The client injured his shoulder, knee...continue reading. A man in his 30‘s was working on the roof of a building under construction. A crane was lowering a large heavy bag to the roof. As the client was detaching the bag the crane lifted up causing his hand to be caught between the crane straps and the large bag. The client was lifte...continue reading. A 13 year old boy was struck by a car while crossing the street in Queens. The boy fractured his shoulder, right leg and left leg and underwent surgery for all three fractures. The case settled just before the trial...continue reading. 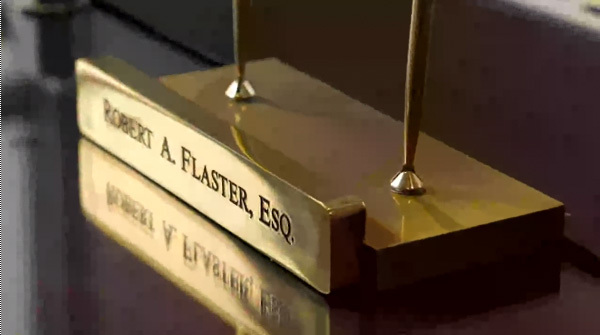 Robert A Flaster PC is a law firm dedicated to providing excellent care to our clients.